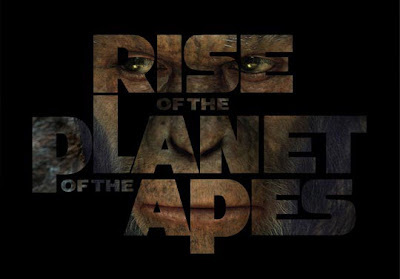 The Ape-ocalypse continues with the theatrical trailer of Rise Of The Planet Of The Apes. While it remains a point of contention whether an actual ape-ocalypse is worst than the next most popular apocalypse (you know, the undead one), we are pretty certain it ain't gonna be pretty and it will quite definitely be extremely painful too. As displayed in this latest theatrical trailer: Hundreds of apes roaming around the city, intellectually enabled enough to wield spear at mankind? I am actually interested in how long it is going to take for the ape-ocalypse to be completed at this rate. Enough rambling. Here is the trailer. Do head over to Yahoo for a HD treat. A single act of both compassion and arrogance leads to a war unlike any other — and to the RISE OF THE PLANET OF THE APES. The Oscar-winning visual effects team that brought to life the worlds of Avatar and Lord of the Rings is breaking new ground, creating a CGI ape that delivers a dramatic performance of unprecedented emotion and intelligence, and epic battles on which rest the upended destinies of man and primate. Rise of the Planet of the Apes will be in theaters August 5th.